Problems for ‘the marzipan layer’? 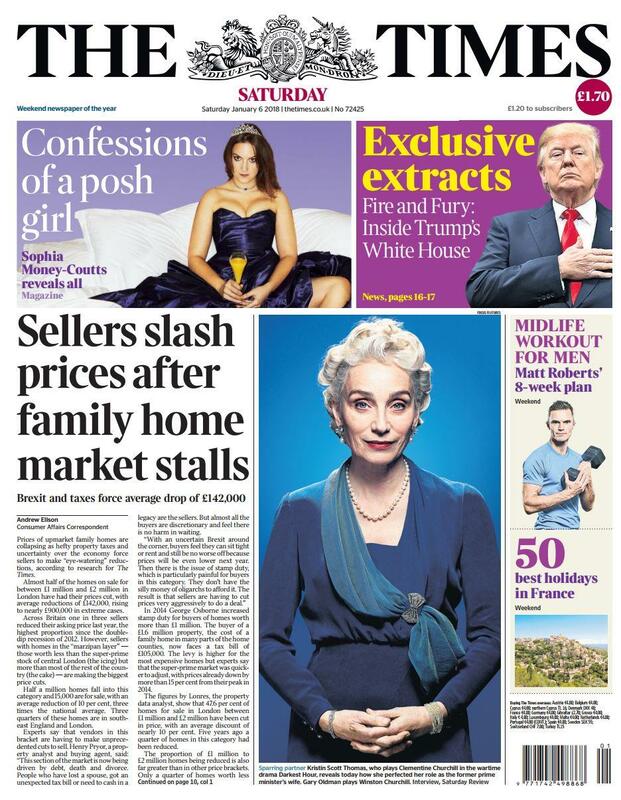 Kicking of the New Year Andrew Ellson in The Times was kind enough to give me front page billing on the problems facing those trying to sell in the £1m – £3m market. Contributions from others like Lonres, Rightmove together with comments from Charlie Ellingworth of PropertyVision and Lucian Cook of Savills help explain what’s going on and why this is important. I’m afraid the whole article is behind a paywall but by registering you can get to read two free articles a week. 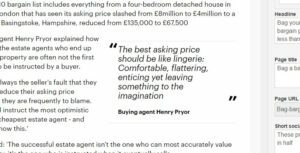 “sellers are having to cut prices aggressively to do a deal” I explain as Stamp Duty, Brexit and market fears all give buyers the jitters. Also this weekend I managed to make it onto the Mail on Sunday/Mail website. Myra Butterworth has done a superb job explaining the frustrations of sellers is not restricted to millionaires. I’m hoping my ‘lingerie’ quote makes it into this years top 10! Finally, I was fortunate to be quoted in the FT on Friday in an article looking at how readers might want to protect their assets from Jeremy Corbyn. Once again, this is behind a paywall but well worth a read. I’m already bidding on three homes but clearly 2018 is going to be a tougher year than last. There is clearly still a market, it’s just not the same one we had a year ago. Happy New Year to all!